Can we replicate this on the plane? Pretty soon, our little baby M will be taking her first flight to Washington, D.C. When we first booked these tickets for a family wedding, it seemed like the logical thing to do. Babies are supposed to be easy to travel with before they’re mobile and one hour on the plane seemed preferable to eight hours of driving. Also, before we became parents we were encouraged to “start as you mean to go.” Meaning, if we plan to travel with baby M eventually, then we might as well start that way. Well, we’re not canceling our flights or anything like that, but baby M has been a bit of a handful the last week or so. Up until last week, my attitude was pretty much, “She can handle it, we’ll need to go slower than we normally do, but it should be fine, and we’ll learn and adapt.” I think I basically just figured we won’t be able to show up 45 minutes before takeoff like we normally do, and that’d we’d have to get to the airport a little earlier. But, as any parent knows, there is WAY more to worry about than just getting to the airport earlier. Anyway, I figured I’d document baby M’s first vacation, a long weekend in D.C. Along the way, I’ll discuss my reasoning and ideas and then reflect on how they were utter failures. Hopefully this might be useful to other new parents looking to travel, or at the very least my screw-ups should be entertaining to seasoned veterans who’ve traveled with their kids. First up – my hopes and fears pre-trip. Note: I am aware that some of my fears are irrational and/or the product of lack of preparedness. I haven’t spent the time to prepare and do research yet (which will hopefully assuage some of these fears). But, some of my irrational fears will likely remain because I can be a very irrational person who worries too much about relatively trivial matters (ask my wife). Don’t judge me! Will I fit on the x-ray machine’s conveyor belt? I fear: That my first time checking in at the counter for a domestic flight will be a disaster. Will we get there on time? What the heck are we supposed to do at security? Will we get to cut the line or will we be stuck in line for a long time? 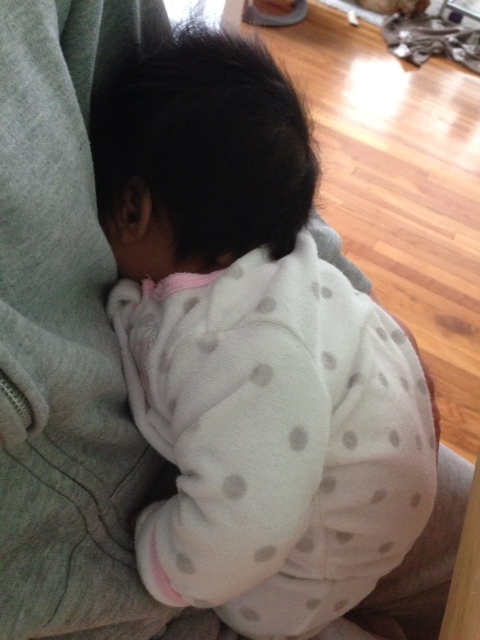 Is it going to be easier to put her in a carrier and hold her or push her in her stroller? Since my stroller is two pieces, are they going to charge me since technically only one item can be gate checked? Does baby M need to go in a plastic bin and thru the x-ray machine? I hope: That boarding will go smoothly and that we will be able to take off relatively on time. I fear: We will be stuck at the gate for a long time in our seats and baby M will start freaking out. 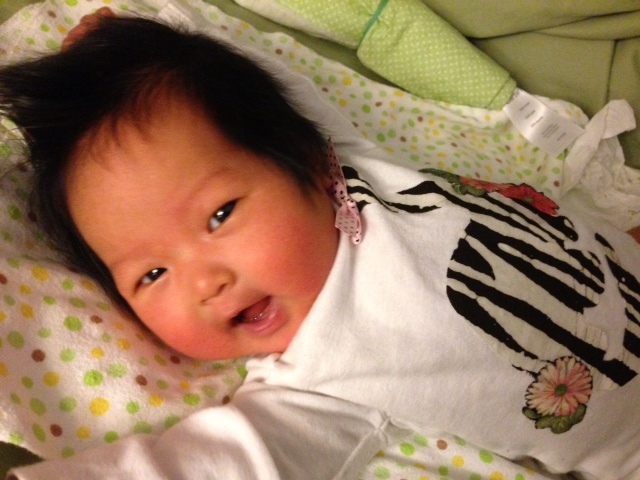 Like most babies, she enjoys movement – which generally means us carrying her and bouncing her. But as anyone knows when you’re stuck at the gate, you’re generally encouraged to stay seated. What if she starts freaking out then? I hope: Baby M will sleep the entire way, from boarding thru take off, landing, and taxiing to the gate. I fear: That we’ll hit a lot of chop and I won’t be able to walk the aisle with the baby. 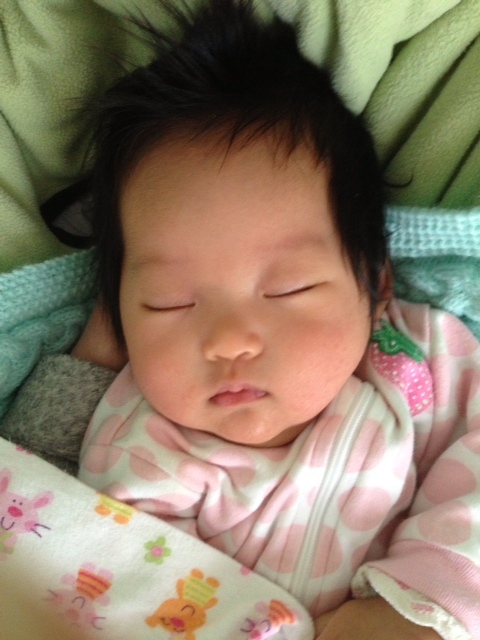 Although…she really does like turbulent movement, so who knows, maybe it will calm her down (while freaking us out). I fear: Unmitigated disaster resulting in staying at home until baby M is 18 years old. Any of you parents who want to share tips? Am I being irrational, or do people feel the same way? In the next post, I’ll take a look at the preparations we are making pre-trip, and will include some links to online resources that I’ve found helpful in preparing. While I may not be a parent, what comforts me the most during flights are my bose quietcomfort headphones. Do you think this might work for babies as well? @Jeremy Oh duh! I forgot, my like biggest fear is everyone hating us. Well, not me, cuz I’m used to that, but baby M! @Eric Yea I was thinking of letting her listen to a white noise track, although I don’t have BOSE headphones and would worry about making it too loud. Thx! My biggest annoyance: when the airplane is so old, it doesn’t have a drop down changing table over the toilet and you have to change them on the floor somewhere. Seriously though, you’ll be fine. P.S. Depending on the airline, if the flight is not full and you show up earlier, the agent can sometimes block the seat next to you to give you more room. I think since your baby is so young, she may be a pretty easy flier and sleep all the way through it. Once she’s a little older and more aware of what’s going on, she probably won’t want to be held on a flight the whole time and I would probably worry about that more. Good luck! We’ve traveled with V a lot. Want me to email you my list of things to bring and general thoughts? Email me. Btw, Will Arnett on Sesame Street. Magic.